Tofu and avocado come together for a nutritious and refreshing salad that pairs as a healthy side to any dish! Avocados are health allies, helping fight cancer in the kitchen thanks to rich stores of many key nutrients, including potent antioxidants, phytochemicals, vitamins, minerals, fiber and monounsaturated healthy fats. 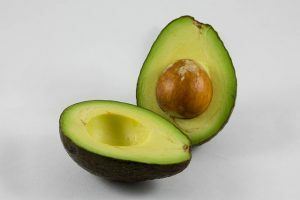 Adding an avocado to your diet several times each week will provide a wide variety of nutrients that demonstrate compelling cancer-fighting properties. Tofu is made from soybean curds, and a common protein alternative to meat. A diet high in animal proteins, such as beef and chicken, is associated with increased cancer risk. This recipe is a great opportunity to try healthier options to reduce overall meat intake. Tofu is naturally gluten-free and low in calories. It contains no cholesterol and is an excellent source of iron and calcium. It also contains isoflavones, such as phytoestrogens, which may have both estrogen-agonist or estrogen-antagonist properties. These may help protect against some cancers, heart disease, and osteoporosis. As a bonus, cucumbers contain high levels of nutrients known as cucurbitacins, which may help prevent cancer by stopping cancer cells from proliferating and surviving. 1. Slice the avocado in half, remove the pit, cut into medium size chunks and place in a mixing bowl. 2. Drain the tofu and cut into chunks, roughly the same size as the avocado. Add to the mixing bowl along with the ponzu sauce. Toss gently. 3. Allow to marinate for at least 4 hours, preferably overnight. Use a mandolin to slice the cucumber into thin slices, or cut with a knife. 4. Line each plate or bowl with salad greens, top them with cucumber slices. 5. Place the avocado mixture on top of the salad greens and top each serving with green onion and sesame seeds. 6. Drizzle each serving with a bit of the ponzu sauce. Enjoy!